if your restaurant is located within a residential area, then you should be distributing smart flyers throughout that area on a regular basis. This doesn’t mean once a week but instead perhaps once a month. Those flyers shouldn’t be just generic copies of your menu but instead targeted specials just for the neighborhood. They can include a coupon that expires within a given time. Hopefully that will compel those neighbors to come in for a visit. If you have a delivery service for your restaurant, then every business within your delivery zone should be made aware of that. This isn’t just about menus under the door. Instead, take some fresh baked treats to the offices and introduce yourself to the staff. Let them know you are open for business and ready to serve them. 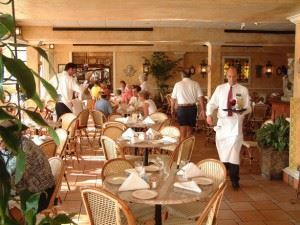 Competition for diners is fierce in Sarasota. That’s why offering discounts can help you cut through the clutter and bring in that business. Two-for-one deals, free appetizers on certain nights and a glass of wine in exchange for tagging of social media are terrific ideas for your customers. If your restaurant has a bar, then there’s no excuse not to have a happy hour. This happy hour should feature special drinks and appetizers. You’ll will usually find that many people who come in for happy hour stick around for dinner. It’s a great way to introduce your restaurant to new customers. If there are some unique offerings on your menu like fresh made pasta or pies made from scratch, then you could host a cooking class with those items. Throw in some wine and you’ve got yourself a nice little party of happy customers. Part of your management would be to go through your establishment with the proverbial white glove test. Not only should your front of the house be spotless but also your storage areas and freezers. You don’t want to have clutter piled up anywhere that a customer can see. Here’s where junk King Sarasota can be a terrific ally. These junk removal professionals will send over a pair of movers and a big truck capable taken away all the rubbish you want to get rid of. Hiring junk King Sarasota to clear out the rubbish from your restaurant is a very smart move. This entry was posted in Sarasota Junk Removal on July 26, 2017 by Junk King. Last updated August 15, 2017 .